One of the best parts about the holiday season is the Christmas music that takes over radio stations. I'm obsessed with Christmas music, and starting the day after Thanksgiving, you can find me blasting Mariah Carey classics and Nat King Cole. As we head into the holiday weekend, I wanted to leave you all with a collection of some of my favorite holiday songs. 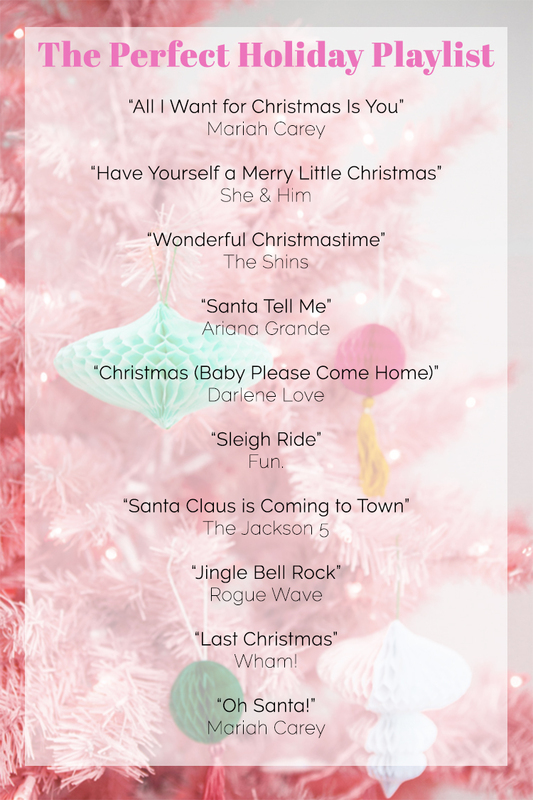 Whether you need a seasonal party playlist or just some music to jam out to while opening presents, this playlist is for you! I hope you all have the most fantastic Christmas weekend!